One of the best known Lake Garda resorts, Bardolino is located on the east side of the Lake, just 3km south of Garda. It's fame mainly comes from the wine made from the grapes that are grown in the surrounding vineyards. To celebrate it's wine, the Bardolino Wine Festival is held at the end of every September through to the beginning of October and is filled with wine tasting opportunities, food stalls with delicious local produce and entertainment. The promenade stretches along the lakefront and takes you on a stroll alongside the Lake all the way up to Garda or down to Lazise. There are a number of coffee spots scattered along the route to keep you energised on the way! The picturesque promenade in the centre of Bardolino hosts the weekly market every Thursday morning. 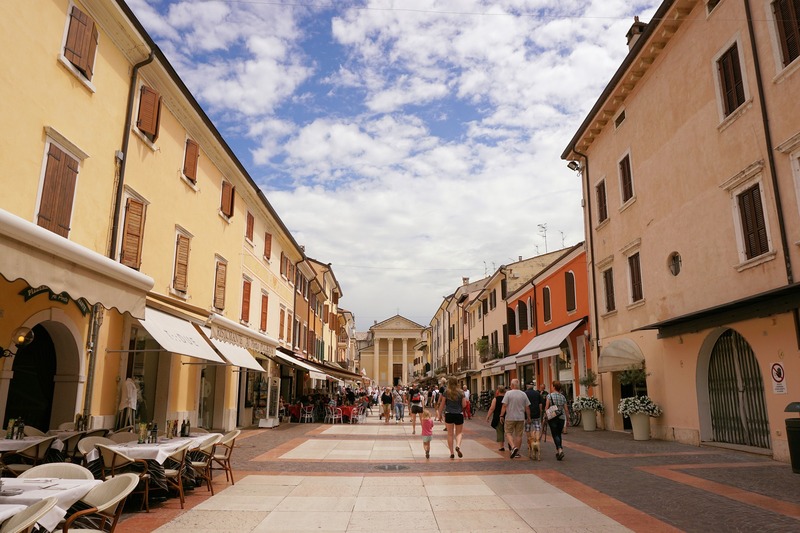 Every evening throughout the summer, the town comes alive with locals and visitors enjoying an aperitivo in one of the many pavement cafes or lakeside restaurants. The ferry port located in Bardolino connects you to a number of towns around the Lake including Peschiera del Garda, Salo and Riva, to name just a few! A bus service also runs along the east side of Lake Garda connecting Bardolino to Malcesine in the north and Peschiera del Garda in the south. In Peschiera you can transfer to train which will connect you to Verona, Milan or Venice. You can reach Bardolino by car from Verona airport in just 30 minutes and Milan Bergamo airport is only a 1 hour 15 minute drive away. * Learn all about olive oil at the Olive Oil Museum!